Princeton Arts Society (PAS) is a non-profit organization, founded in 1990, whose purpose is to both encourage and support local artists and provide programs and exhibition for its membership in particular and the community at large. Programs or exhibitions are held most months September through June. Programs include lectures, demonstrations, and hands-on workshops. 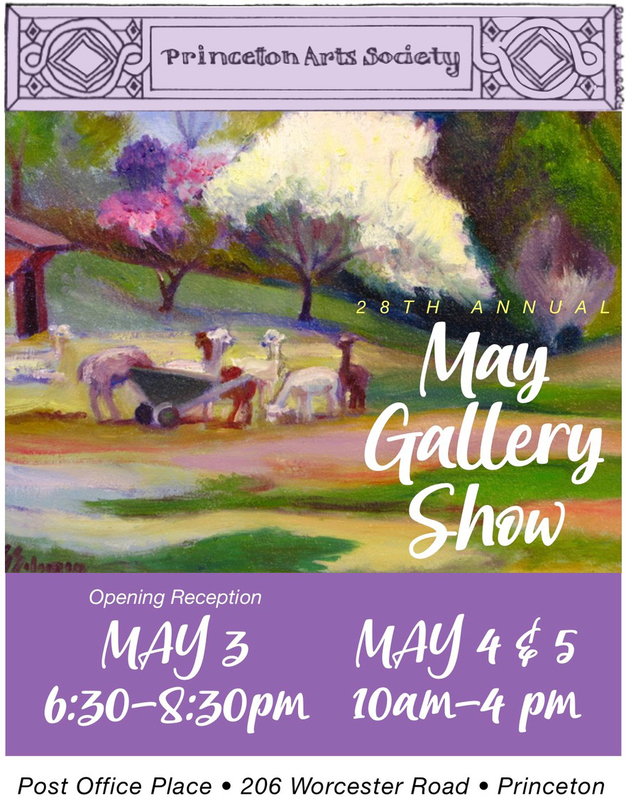 Exhibitions include member shows, a small works show and sale, specialty shows and student shows. A portrait workshop also meets once a week. PAS is located at Post Office Place (back lower level), 206 Worcester Road, Princeton. If you are visiting us, we suggest driving to the back of the building and entering through the lower level lobby. Our mailing address is PO Box 28, Princeton MA 01541. Please visit us on Facebook for current PAS news, events, and call-to-artists!